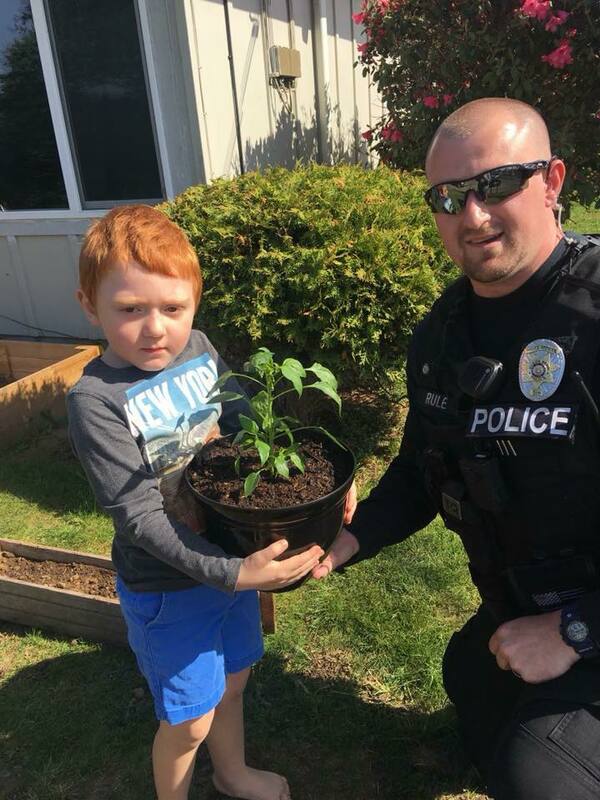 An officer helped make the day of a little boy in North Bend, Oregon, by partaking in the return of a “stolen” pepper plant. The boy’s mother, Bailee Pultz, posted the story on Facebook, thanking the North Bend Police Department. “2 nights ago someone stole my autistic 4 year olds pepper plants that he had been growing and was so proud of. 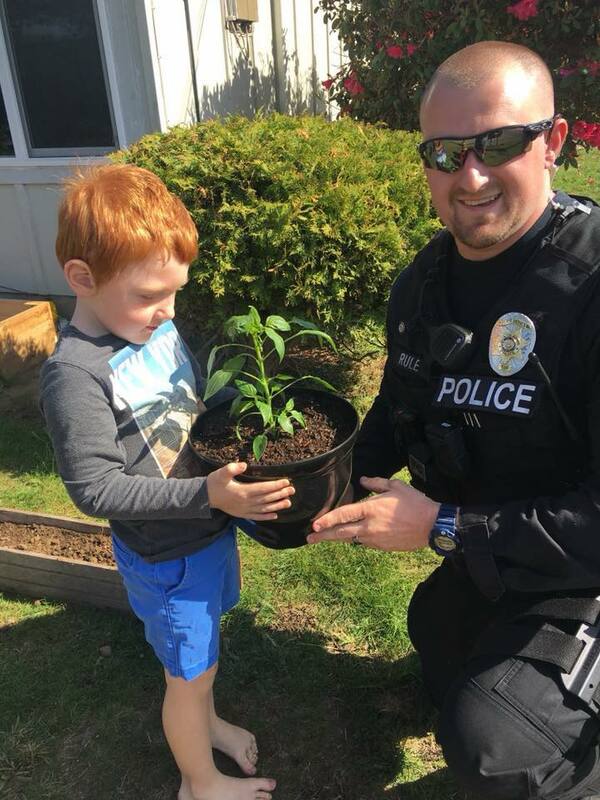 He was so sad and before bed he told us, ‘Don’t worry mommy and daddy, the cops will catch him and bring my peppers back.’ Our neighbor bought a pepper plant and we called North Bend PD.